This adorable felted bird pod is created using a Balloon as a base and some wet felting muscles. This felting tutorial is easy to follow and you can learn how to make your own felted bird house here. Have you ever wanted to try something different, something unique? Well this lady sure did. She took a whole heap of wool roving and made her own faux (skinless fleece rug). This work is copyright Sally Gulbrandsen. 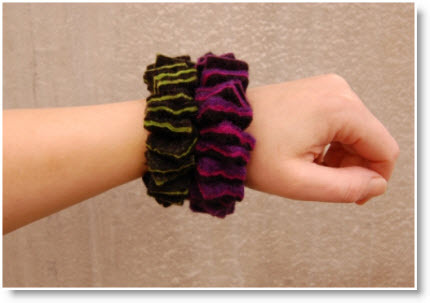 DIY felted pebbles are totally AWESOME!